How do you understand what a customer is thinking about your business, while they’re still in your store? Viewpoints recognized this need for instant feedback that, unlike disconnected review services, would empower business owners to fix problems on the spot and help ensure customers leave happy. 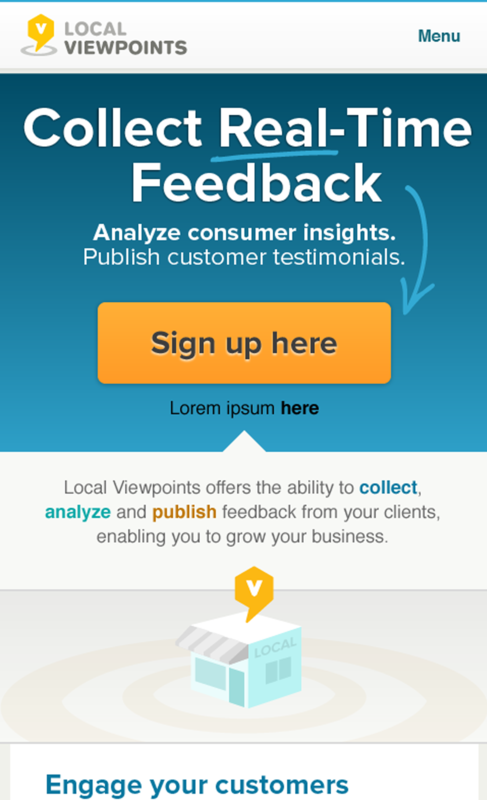 Viewpoints, an existing client of Fuzzy Math, was creating a customer satisfaction and review service centered around collecting, analyzing and publishing feedback from the customers of local businesses and services. We worked with Viewpoints to design a responsive application that supports the collection of that customer feedback as survey responses while turning the selections into written prose describing the customers experience, and to build a service strategy and physical touchpoints that would help drive customer engagement. To quickly get a sense for what the tool could look and feel like, we created interactive models based on sketches. By creating interactive components, we were better able to identify effective ways in which users could interact with the survey tool, allowing us to begin making design decisions wherever things worked well. Working closely with Viewpoints to select a model, we then refined sketches and created a clickable, interactive prototype to test and iterate on the final concept. 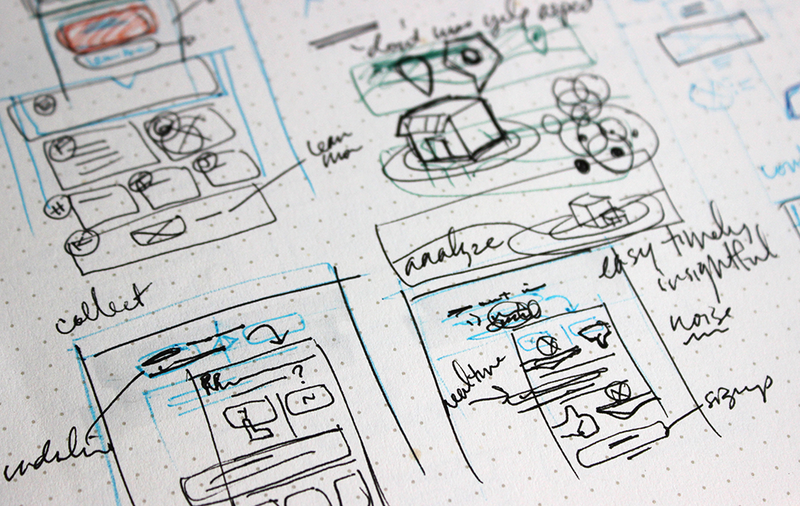 We took our interactive prototype concept and designed more advanced wireframes for all of the key pages in the application across four key breakpoints, ensuring our designs would be effective across many devices and resolutions. Through testing, iterating, and tweaking the design, we refined the wireframes to arrive at a single, responsive layout that met Viewpoints goals for a quick, simple experience in any context of use. In addition to designing the layout and interactions used in the survey application, we reviewed existing Viewpoints branding and created a visual identity and graphic design for the new application. In-store business welcome kits – including window cling, table tent cards, business cards, and posters – were designed to help inform users and drive usage of the application at the point of use. We delivered responsive design and specifications for the Viewpoints application and public-facing websites, as well as variable data printing templates for use in creating numerous point-of-sale displays.